Are You Making These Small Business Website Design Mistakes? 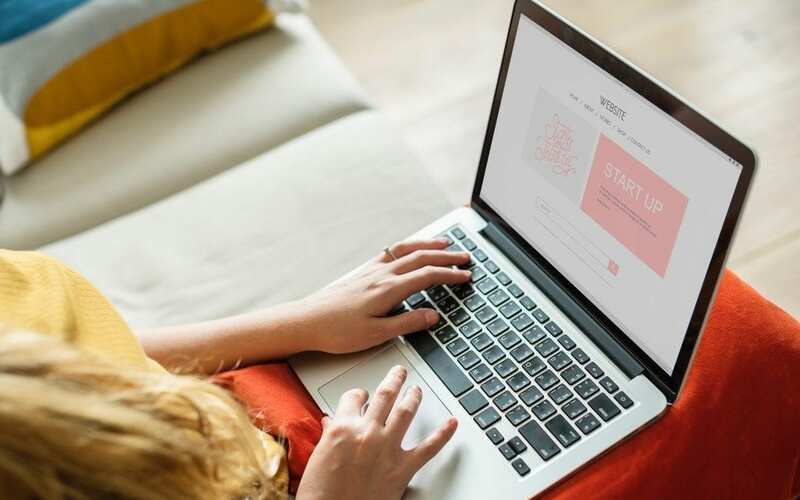 With today’s access to user-friendly website development programs and tools, it’s easier than ever for anyone to create a slick, professional, and useful site to drive business. However, not everyone is design-minded or has much interest in creating a site. If you’re a business owner, it’s also possible you’re just too busy to spend a lot of time on it. Luckily, a great, user-friendly site is easier to create than you might think. It doesn’t need to be fancy in order to get the job done. For your reference, here’s a list of small business website design basics. A good rule of thumb for site design is that less is more. If the site is busy, wordy, overwhelmingly bright, or uses too many fonts or graphics, it risks looking juvenile or unprofessional. You want your business to look professional, so keep the site simple, sleek, and in keeping with your brand. Avoid walls of text — your visitors won’t read them. Keep backgrounds muted and subtle so you don’t overwhelm the messaging. Organize the pages clearly and make the navigation menus impossible to miss. Tabs along the top of the page or left-page navigation are two popular options. Make sure your contact info is clearly visible. Don’t let the fancy phrase scare you. SEO is easier than it sounds. Having good SEO simply means that search engines like Google can find your site. Nowadays, the best way to ensure that your site is search engine optimized is to use long-tail keywords. Pepper various iterations of your long-tail keywords throughout your site. Posting new content frequently via a blog is another way to increase your search engine rankings, too. Here’s an eye-opening stat — over half of all website traffic comes from mobile devices. If your site isn’t responsive and optimized for this traffic, you’re likely losing business. Mobile screens are smaller, so it’s easier for your site design to look overwhelming or too busy on a phone or tablet. Check that your text and photos are large enough to be legible on mobile. Remember that mobile users are more likely to be navigating with their fingers versus a mouse, so make menus and other clickable links large enough to not be cumbersome to click with a fingertip. Ultimately, you want customers who visit your site to decide that they want to contact your business. Make that easy for them to do by providing plenty of options. Every page should include a phone number on it in bold, easy-to-read text. You’ll also want a dedicated contact page. This should have a phone number, address, email address, and a contact form. Make it easy for your customers to get in touch! Looking for Help with Small Business Website Design in Bournemouth – Poole? As mentioned earlier, it’s understandable that some small business owners don’t have the time or desire to try to design their own website. That’s where we come in. Let’s chat about the goals you have for your site and see how our small business website design services can increase your traffic, drive business, and increase your profits. Get in touch today!